Along with the introduction of a new iPad, Apple announced that users will no longer need a Mac to create educational materials, and will be able to create books directly on an iPad using Pages and the new Digital Books. The Digital Books feature will be available in the Pages app and allow users to use the Apple Pencil to add photos, videos, illustrations and annotations directly to books. The feature is being touted specifically as a tool for teachers, as well as students, in keeping with the theme of the educational event. Collaboration is also enabled. 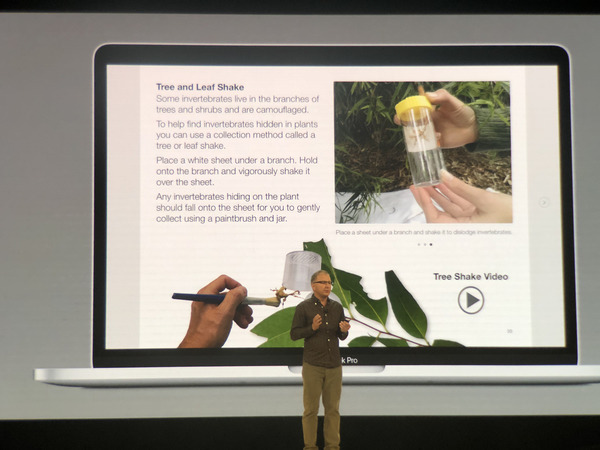 "Teachers love using their Macs to create digital books that bring subjects to life in a way that no paper book can," Apple's Greg Joswiak said at the event. "With interactive features, videos and photos that you can customize, you can make the content relevant to the kids in your class, because students light up when they see their school, or their friends, in a real book." Pages with the Digital Books feature will launch at a future date, and will come built in on the new iPad, which will sell for $329. "Book creation is now possible in Pages for iOS and macOS, making it easy for anyone to create fun, interactive digital books, from short stories to travel books. 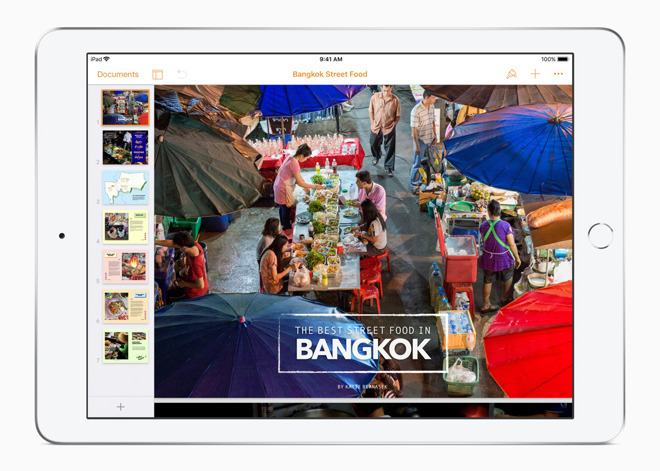 Users can start a book using a variety of templates, and then customize it with drawings using iWork's new drawing tools or with image galleries and videos from their Photos library," Apple said in a press release after the event. "Users can collaborate in real time with their classmates or colleagues to create books together on iPad, iPhone, Mac and iCloud.com. Books can then be shared and will display beautifully in iBooks." "It's got everything you need to create to make a totally engaging digital book," Joswiak said at the event. It is one of many features introduced by Apple at its event in Chicago on Tuesday, which was geared towards restoring Apple's previously dominant position in the education market.